The rising Earth looms above the lunar horizon in this telephoto view taken from the Apollo 8 spacecraft. 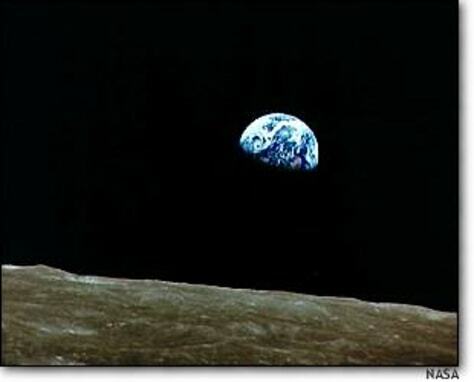 For years, space historians have debated who took this picture. The book "Genesis" provides the answer.